Our first nutrition workshop on the weekend was a great success. 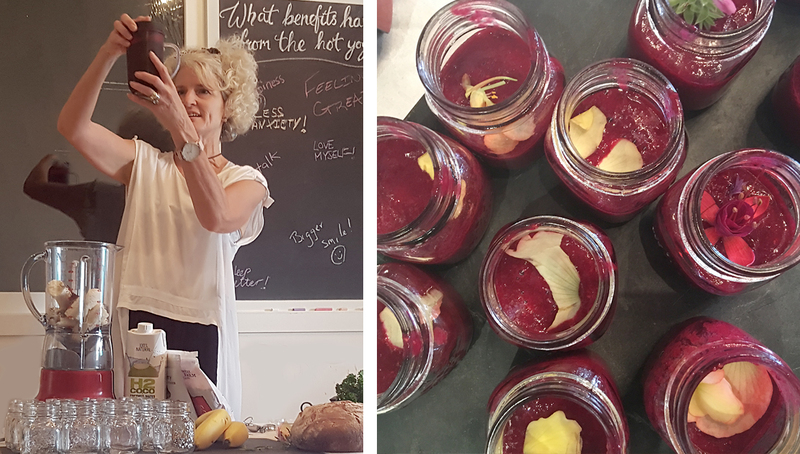 Everyone learnt something new and we all got to taste some delicious healthy food and Margot’s famous antioxident beetroot smoothie! The solution to a healthy digestive system is to consume foods or supplements that enhance beneficial gut bacteria. These helpful bacteria enhance the absorption of nutrients and help maintain gastrointestinal health by regulating the gut environment. Make sure micronisms in our gut are healthy, feeding correctly! Give your body time to digest. Start with small changes, e.g. soak your muesli overnight. Carbohydrate Fitness is about consuming the optimal level of whole food nutrients that enables an INDIVIDUAL to live well with energy. It’s about food quality not quantity. It’s also about the type of carbohydrate we consume. There is an old saying that “you are what you eat “, however Margot believes that you are what you digest, assimilate and eliminate! We live in an age of compartmentalised and reconstituted FOOD. Excessive processed carbohydrates and sugar seem to be the foundation of the western diet at the expense of other vital nutrients (particularly fat and valuable micro nutrients). WE NEED TO FEED THE BODY THE RIGHT CARBOHYDRATES to support and sustain daily activities. It is important to note that the body’s capacity for storing glucose (glycogen) is limited. Once glycogen stores in the muscle and liver are replenished, excess glucose is converted to fat. Avoid processed packaged food, biscuits, pastries and sweets, as they are loaded with sugar with smooth textures that digest more rapidly. Incorporate protein and fat with your WHOLEFOOD CARBOHYDRATE to slow down the passage of food through the gut, avoiding blood sugar spiking and insulin spiking. Include soluble fibre in your diet for example mushrooms, cooked apple , prunes, tropical fruits, soaked linseed and oats. These foods slow down the passage of food through the digestive system, regulating blood sugar levels. They also feed the good bacteria in your gut helping with gut wall integrity and your overall immunity. Increase raw food intake such as fruits, vegetables, nuts and seeds. These foods have a coarser texture SLOWING DOWN THE PASSAGE OF FOOD and regulating blood sugar. Alcohol, coffee, teas, artificial sweeteners, gum breath fresheners and the “big culprit” ENERGY DRINKS, stimulate blood sugar spiking so it is best to minimize or avoid these. Fruit and coconut water are a much better option. 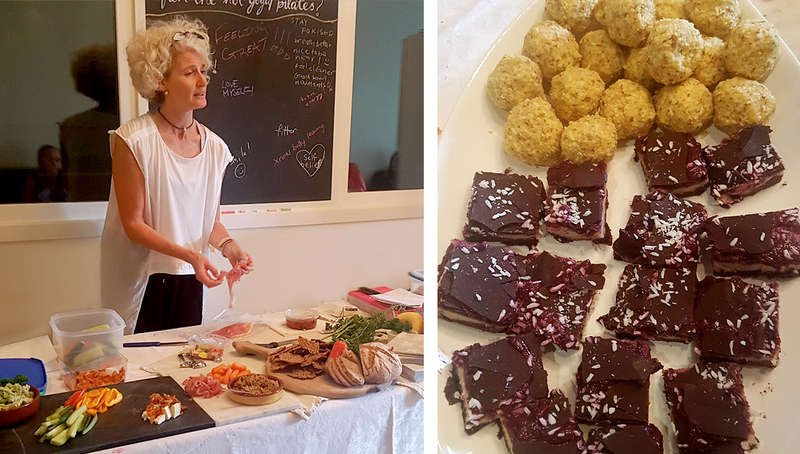 We covered all this and got to sample the beetroot acai smoothie and all the delicious healthy foods on the platter Margot made for us. Check out her yummy recipies on her website www.nkw.co.nz I can thoroughly recommend the Flaxseed Nut Crackers and Rasberry Chia Chocy Slice YUMMMM! Keep your eye out in the studio for the next workshop or if you have a group of friends who are interested we can look at putting one on for you.